Exploring the roots of alchemical symbolism in Renaissance cosmology, how do we deepen our understanding of Jung’s writings on individuation and our own inner alchemy? C.G. Jung devoted much of his life’s work to the study of medieval alchemy, finding in it the most complete symbolic expression of the process of individuation. Yet the contemporary reader can find the theological and magical terminology used by the alchemists bewildering. From our modern disenchanted point of view, how can we, without a comprehensive understanding of the Hermetic cosmos out of which alchemy emerged, find the relevance of alchemy to our own lives? In this seminar we will trace the roots of Paracelsus’ healing alchemy from its origin in Valentinian Gnosticism to the magisterial synthesis of Jacob Boehme, and survey the implicit occult ideas underlying Renaissance cosmology, astrology and metaphysics. Exploring the referents for Jung’s alchemical terminology, participants will also access their own astrological/alchemical bodies in guided active imagination. Participants will gain conceptual and visceral means to deepen their understanding of Jung’s alchemy as well as their own. 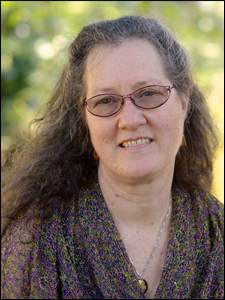 CHRISTINE PAYNE-TOWLER is the author of The Underground Stream: Esoteric Tarot Revealed. She also wrote the interpretive Tarot text in use at tarot.com. 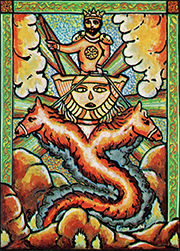 She and Michael Dowers created Tarot of the Holy Light, voted one of 10 best decks of 2011 at tarotforum.net. Her most recent book is Foundations of the Esoteric Traditions. Her degree in Mysticism and Parapsychology is from John F. Kennedy University. 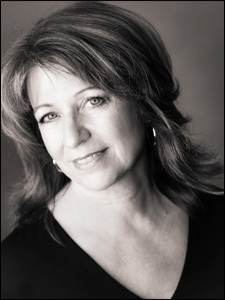 FRANCES HATFIELD, PHD, LMFT is an analyst member of the C. G. Jung Institute of San Francisco, where she teaches in the training program. Her book of poems, Rudiments of Flight, 2013 Wings Press, won the Gradiva Award from the National Association for the Advancement of Psychoanalysis. For decades, she has used the tarot, the I Ching, and astrology as tools for meditation and insight. JEFFREY MOULTON BENEVEDES, PHD is an analyst member of the C.G. Jung Institute of San Francisco and has practices in San Francisco and Palm Desert, California. In addition, to being a multi-media artist, he is the editor of the Jung Journal: Cultural and Psyche. In the forthcoming issue of the Jung Journal, Jeffrey interviews Christine Payne-Towler in a piece entitled Trustworthy Sources: Tarot-Secret Societies to Modernity which takes us through centuries of alchemical strivings and leaves us with the important message that what is important about the Tarot exists between the lines in liminal space evoked by the provocative images in the decks.